Ó foilsíodh Bí ag SpraoiLiom! i 2017 tá mé tar éis cuairt a thabhairt ar neart scoileanna, leabharlanna agus féilte le ceardlanna a éascú. Táim tar éis labhairt le páistí óga maidir le cruthaíocht agus ceapadóireacht, le déagóirí maidir le mo thuras chun scríobhneoireachta, agus le daoine fásta maidir le hearnáil na bpictiúirleabhair. Is breá liom bualadh le daoine óga ach go háraithe le Bí ag Spraoi Liom! a roinnt leo agus len iad a spreagadh le bheith cruthaíoch iad féin – díreach cosúil le Lúna! Sraith imeachtaí 30 nóim ar fhaid do rangannaNaí 1 – Rang 2 le scéalaíocht, plé agus ealaín. Seisiúin 1hr+ do ghrúpaí níos lú le scéalaíocht, plé agus lámh-cheardaíocht bunaithe ar théamaí ón leabhar. Imeachtaí in eineacht le mo leath-bhádóir, maisitheoir Tarsila Kruse, le scéalaíocht, plé, maisiú ‘beo’ agus ealaín. Since the publication of Bí ag Spraoi Liom! in 2017 I have been facilitating many events for schools, libraries and festivals. I’ve discussed creativity and inventions with young children, my path to writing with teenagers and spoken about working in picturebooks with adults. 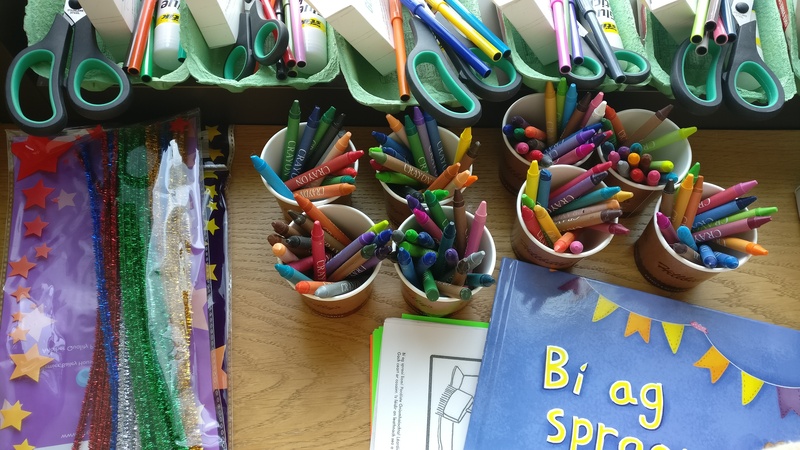 I particularly love working with young children to share Bí ag Spraoi Liom! with them and to get them thinking creatively for themselves – just like Lúna! A series of 30 minute mini-workshops suitable for Jnr. Infants to 2nd Class to include storytelling, discussion and artwork. 1hr+ workshops for which includes storytelling, discussion, art and creating craft projects based on themes from the book. 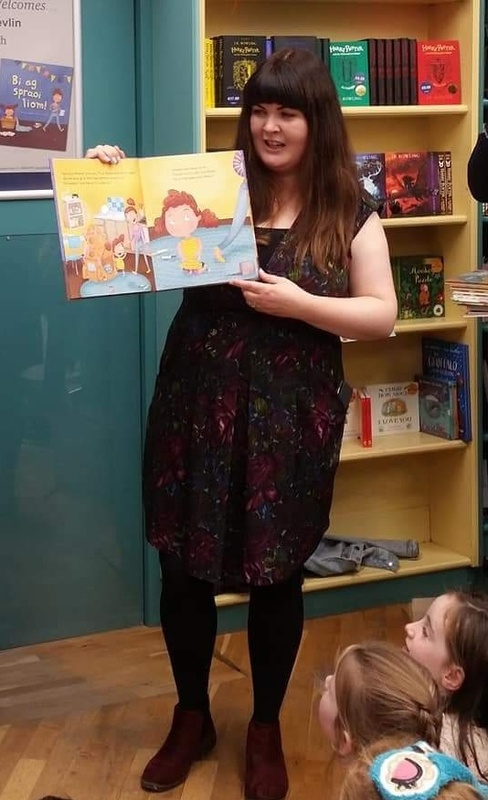 I also do workshops with the illustrator of Bí ag Spraoi Liom!, Tarsila Kruse, which includes storytelling, discussion, live illustration and art creation.